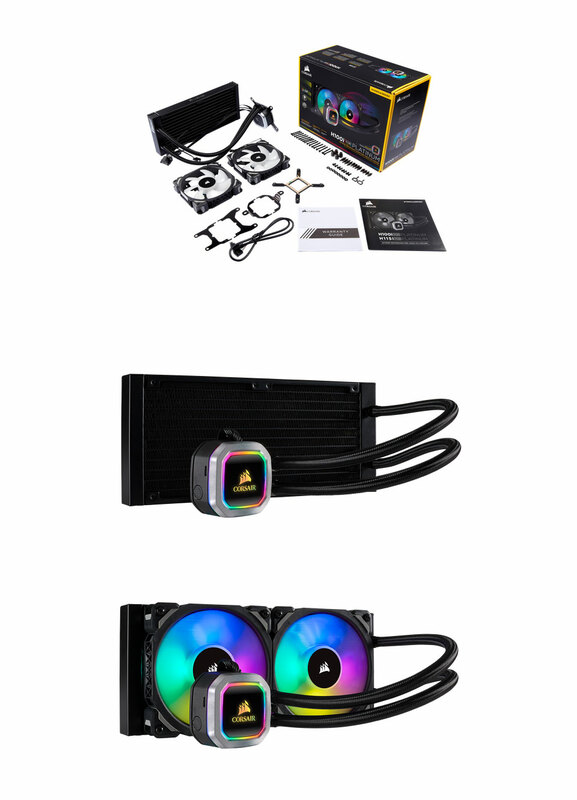 The CORSAIR Hydro Series H110i RGB PLATINUM is an all-in-one liquid CPU cooler built for extreme cooling with a 240mm radiator and vivid RGB lighting from 24 LEDs. 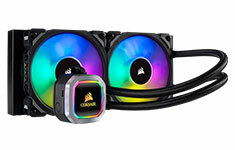 Two CORSAIR ML PRO RGB 120mm PWM fans run up to 2,400 RPM, alongside an optimised cold plate and pump design that delivers high-performance Hydro Series cooling. Take control with CORSAIR iCUE software to customise lighting effects and enable Zero RPM mode at low temperatures. Easy to install and compatible with most major CPU sockets, the H110i RGB PLATINUM pairs killer looks with chiller performance.